The 2016 US F-Class Mid-Range and Long Range National Championship will operate a little differently than events of the past. 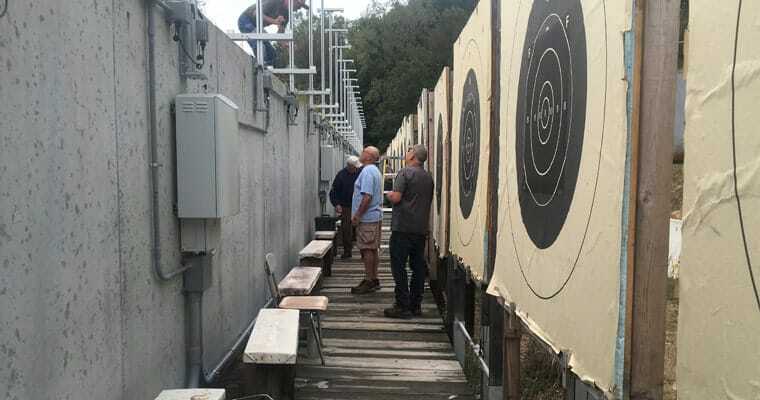 Criterion, Krieger, and Brux Barrels have each donated $25,000 to the Winnequah Gun Club in Lodi, Wisconsin to help fund the purchase and installation of a Silver Mountain electronic target system for their 1,200 yard rifle range. The Silver Mountain electronic target system operates via a number of sonic sensors that track the path of each round impacting standard paper targets of various types and sizes. Data from each shot is beamed to the shooter’s tablet or mobile device via a wi-fi hotspot on the firing line, providing immediate feedback pertaining to shot position and bullet velocity at the target. Not only does this scoring system enable shooters to engage targets at a more rapid pace, but it eliminates the need to pull and score targets manually in the pits. This limits the logistical demands of transporting shooters back and forth from the firing line, as well as the need to keep additional personnel downrange to manage pit activities. Other benefits include the elimination of target pasters or markers, which can clutter and obscure scoring lines and lead to confusion in shorter range disciplines like 300 yard F-Class competition, where the X-Ring measures out a mere 1.5” in diameter. All three barrel manufacturers are proud to play a role in supporting this top notch local range facility. Electronic target systems are not yet widely available at public or private range facilities, but will likely proliferate further as the technology matures and becomes more affordable for smaller clubs and marksmanship organizations. This entry was posted in Articles, Industry Partner News, News, Sponsored Shooters & Matches and tagged criterion barrels, electronic targets, f-class, f-class nationals, f-open, f-tr, lodi, silver mountain targets, winnequah gun club.